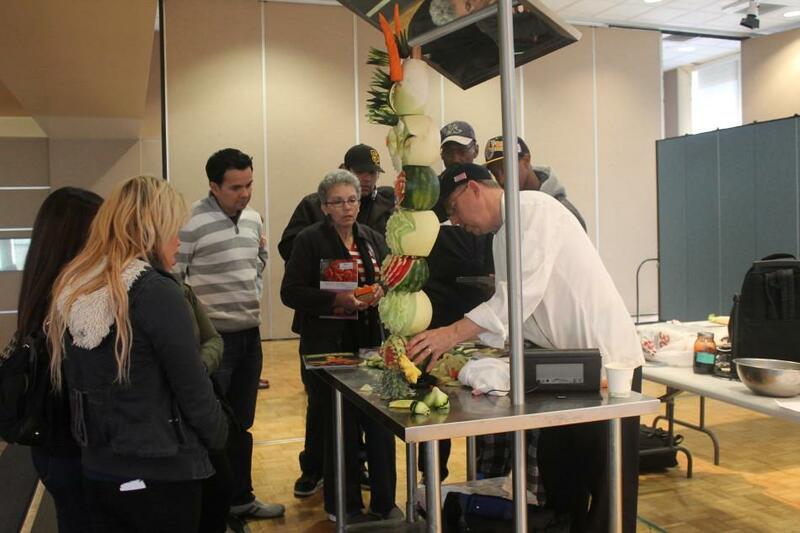 On Saturday, Feb. 28, Cerritos College played host to a demonstration, in the student center, of the culinary art of fruit and vegetable carving by renowned culinary artist, Chef Ray L. Duey. Chef Ray L. Duey is a certified executive chef with over dozens of medals in competition and specializes in teaching the culinary art of fruit and vegetable carving. More widely known as Chef Garnish, his work is also featured in many television shows and movies. Chef Duey showcased his philosophy and methods toward mastering the art of carving fruits and vegetables to those in attendance with a set-up of cameras, mirrors and music. Unlike other casual ordinary demonstrations, Chef Duey encouraged participation from his audience all throughout the demonstration. The fruit and vegetable-carving specialist left audience members feeling inspired and motivated for their career in the culinary arts. 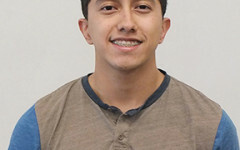 Fellow Cerritos College alumni Daniel Alcala, A.A degree culinary arts, reminisced on the seminar and conveyed a revolutionary sense to his approach to the culinary arts.